Joining the Smart Group team offers the benefits of working for a fast-moving, dynamic, innovative, and growing organization. Due to continued expansion we are often looking for dynamic, skilled and hardworking individuals with experience in sales, finance, technical, marketing, and administration. 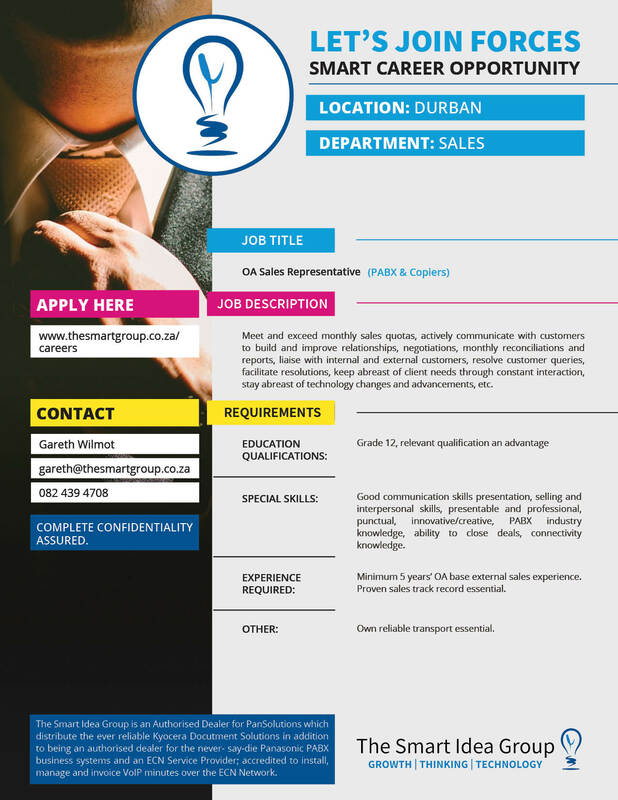 Please fill out the form below or email your CV to careers@thesmartgroup.co.za and should we have a position that we believe to suit you, we will be in contact to set up an interview. Alternatively, we will keep your CV on file for future reference.